On Friday evening, a Los Angeles Superior Court Judge issued preliminary approval to a proposed class-action settlement for customers of the Los Angeles Department of Water and Power (LADWP) who were overcharged at least $67.5 million following the introduction of a new billing system in September of 2013, reports the L.A. Daily News. The class-action lawsuit alleges that a faulty billing system designed by PricewaterhouseCoopers was responsible for consistently over-billing the utility agency&apos;s customers. 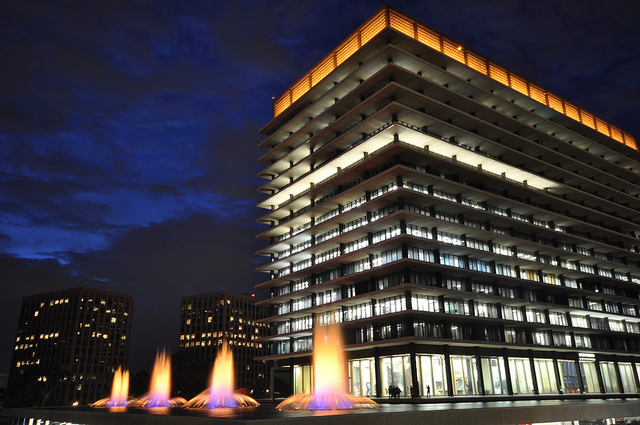 If fully approved, the lawsuit will pave the way for LADWP customers to receive a full refund of the amount they were overcharged, and will require LADWP to restructure its flawed billing system. "LADWP exists for the people of our city—nothing is more important than giving customers the highest quality water, electric and customer service... With the judge&apos;s ruling today, we&apos;ve finally taken an important step forward in making our customers whole... Next year, customers will receive refunds for every penny they were overcharged, and that process will be carried out with rigorous oversight from both the court and our independent monitor," said Mayor Eric Garcetti in a statement to the Daily News. After LADWP installed the PricewaterhouseCoopers designed billing system, customers almost immediately began finding bogus fees and overcharges on their utility bills. Four separate individuals filed class-action lawsuits against LADWP, all of which were eventually merged into one single case, according to KPCC. Though the suit was (and continues to be) an uphill battle for those attempting to get the utility agency to agree to a settlement and repayment, the Friday ruling establishes, more or less, that repayment will happen at some point in the near future. According to a website set up by attorneys representing LADWP customers, a hearing has been set for mid-December to discuss customer notification. Once that hearing happens, customers should be able to expect notification of how much they&apos;ll receive back from LADWP in a written letter mailed, if everything works out, within 90 days. Customers should expect a refund by Summer of 2017, according to the L.A. Daily News. It&apos;s also possible that the $67.5 million value will increase in the coming weeks as well, as more information about the agency&apos;s failed billing system is analyzed. LADWP and the City of Los Angeles, meanwhile, are also suing PwC over the failed system in hopes the accounting firm will compensate the agency for its losses. Remember, the PwC people were the DWP contractors caught (allegedly) spending taxpayer money on prostitutes and parties in Las Vegas.